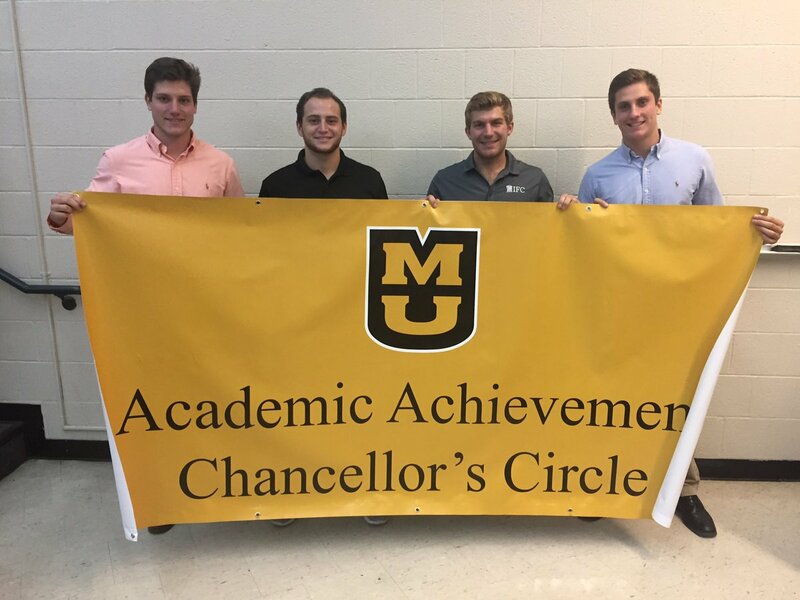 Greek chapters represent over 7,500 students at Mizzou, and this group of students builds a unique community atmosphere that has thrived at Mizzou for years. Members of the Greek community are exposed to many different personalities, interests and challenges beneficial for social growth, while forming lifelong friendships. The bonds you develop with other members in your chapter are more than just friendships. Members support each other through challenges, and older brothers and sisters encourage and foster growth in new members. Friendships developed in college will continue to flourish even after you graduate. Every chapter has an alumni network to assist members in adjusting to new communities, whether its finding employment or offering personal friendship based on the common experience of membership in your organization. Fraternity life provides students with a variety of leadership opportunities. Members may participate in fraternity governance as a chapter officer or by serving on one of the many committees and subcommittees that each chapter maintains. In addition, leadership programs and conferences within each fraternity at the local, regional and national level also provide an opportunity for members to sharpen their leadership skills. Historically, Greek-letter organizations were founded on the principles of academic success and camaraderie. Today, our Greek-letter organizations continue to strive for academic excellence. Our members realize that academic achievement is the main priority of Mizzou students. Chapters promote scholarship by providing academic resources for their members including tutoring, academic advisors, study groups and scholarships. Chapter members often work with new students to help their adjustment to their new surroundings, and specifically the rigors of university academics. Many chapters have a rewards system based on GPA. Prospective members must meet a minimum GPA in order to be initiated and then must maintain a minimum GPA to remain an active member. The Greek community addresses the needs of both the City of Columbia and the University communities by sponsoring service and philanthropic projects. Each chapter dedicates itself to worthy local causes and national/international philanthropies, donating their time and fund-raising efforts to help others. The ability to touch the lives of others through your efforts will undoubtedly be one of the more memorable experiences you will have as a member of a fraternity or sorority. This past year our Greek community donated thousands of volunteer hours providing services and funding for local charitable organizations such as Special Olympics, American Heart Association, Children’s Miracle Network, and the Salvation Army.